They say great things come in small packages. That couldn’t be truer of Results Rx/CosMedix Elite Eye Doctor. We believe this is up there with the best eye cream on the market. Users have found it useful after having dermal filler or anti-wrinkle injections, too. It soothes, heals, plumps and thoroughly moisturises. With AGP Complex, liquid crystal, Vitamin A and cococin, fine lines, dark circles, discolourations and puffy eyes will be significantly reduced, reversing the signs of aging. The antioxidant properties improve blood flow and protect the delicate skin around the eyes from free radical damage. 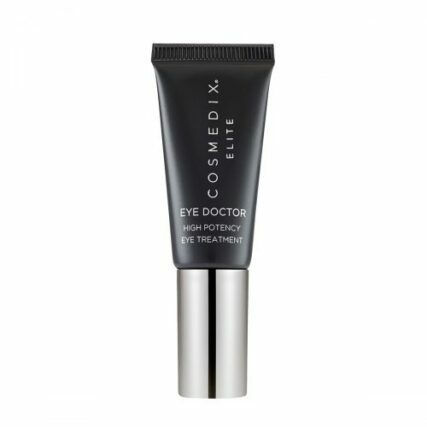 CosMedix Elite Eye Doctor is a mighty tool against wrinkles or other signs of aging underneath the eyes. Whether you’re experiencing signs of under-eye skin aging, or if you just had a dermal filler or anti-wrinkle injection, CosMedix Eye Doctor will provide you with the soothing and rejuvenating benefits you need. This product plumps, heals, soothes and moisturizes, a combination that reduces signs of aging and keeps them at bay. The incredible benefits that come from using CosMedix Elite Eye Doctor are due to its impressive ingredient list. Rice bran oil is used due to its deep-moisturizing abilities. Rice bran oil contains high levels of vitamin E and fatty acids which penetrate the skin to provide hydration at a deep level. Its natural anti-aging and healing components make this ingredient one of Japan’s most beloved anti-aging secrets. Cholesteryl Nonanoate is also used for its amount of emollients which work to replenish the skin’s natural essential oils. The AGP Complex, a type of vitamin A, liquid crystal, and cococin drastically diminished the appearance of fine lines, circles, puffiness, and discolouration, therefore reducing signs of aging and providing a more youthful and healthy appearance. On top of these benefits, the number of antioxidant properties found in the ingredients helps to increase blood flow and protect the eye skin from free radical and other environmental damage. 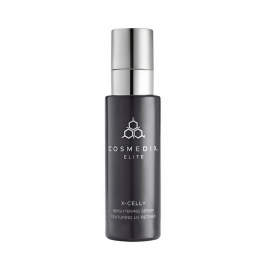 All you need is a small amount of CosMedix Elite daily. This means the product will last a significant amount of time, making it well worth the investment. We always recommend applying sunscreen during the day to protect skin against sunburn and premature aging. This is the most effective eye cream I’ve ever used, and I’ve tried a LOT of high end eye creams. 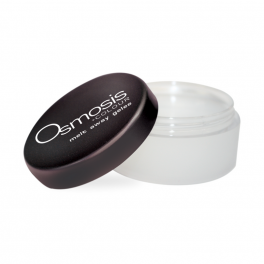 The results are almost immediate and the sticky gel-like formula leaves the area around the eye plump and hydrated. The tiniest amount is required so although this is a pricey product it will last a long, long time. I’ll never use another eye cream! This is probably the best eye cream I have ever used. I don’t ever write reviews but it works. I have had botox for crows feet and preventing under eye fine lines since I was 24. I’m 29 now and have used brands like synergie, kiehels, o cosmetics, clinique, lancome (yet to try la mer). I heard alot of good reviews so I took the splurge. I have sensitive eyes and this cream didn’t make my skin sore or reactive. It has kind of a green/gold tinge and takes about 10 to 15 minutes to really soak in. It is abit shiny/oily. Not even kidding but after 3 days use fine lines are softening and disappearing. Under the eye is plumping up again. I love love love this eye cream!!!!! I have been using this amazing eye cream for several years now. While not the cheapest it is the most visibly effective treatment I have ever tried. I am 62 and have only got fine lines. It plumps, tightens and smooths. I have tried a few other expensive creams but keep coming back to this one. !